Make 4 interest-free payments of $50.75 fortnightly and receive your order now. DESIGNED AND MADE IN AUSTRALIA WITH A PRODUCTION & DELIVERY TIME OF 2-4 WEEKS. Professionally printed on premium polycotton artist canvas; using latex printing methods. Stretched and gallery wrapped around a 36mm timber frame. 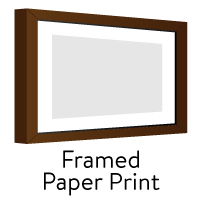 There is an option to add a shadow box frame to your canvas art print. This means the canvas sits within the frame, 10mm from the edge, creating a shadow between the canvas and the frame. Available in white, black and timber look. Durable, museum-quality, matte coated polycotton canvas. Professionally printed using a premium, aqueous inkjet printer, producing a wide, vibrant colour spectrum. PLEASE NOTE: The listed size refers to the finished, stretched size of the artwork. 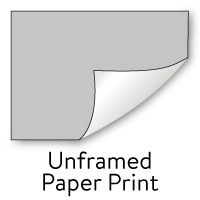 The rolled canvas is printed and cut with an additional 120mm to allow for stretching. The artwork has a mirrored, 45mm edge for gallery wrapping. For more information on our wall art products, click here.